The Trotec Speedy 400 CO2 laser is used for cutting and engraving an impressive array of substrates. Lasers are well known for their incredible precision and power for cutting materials. On the other side of the coin, is the lasers ability to cut and engrave on delicate objects and materials, only removing what is required and not damaging the surrounding material. Think about laser eye surgery and how that’s accomplished. 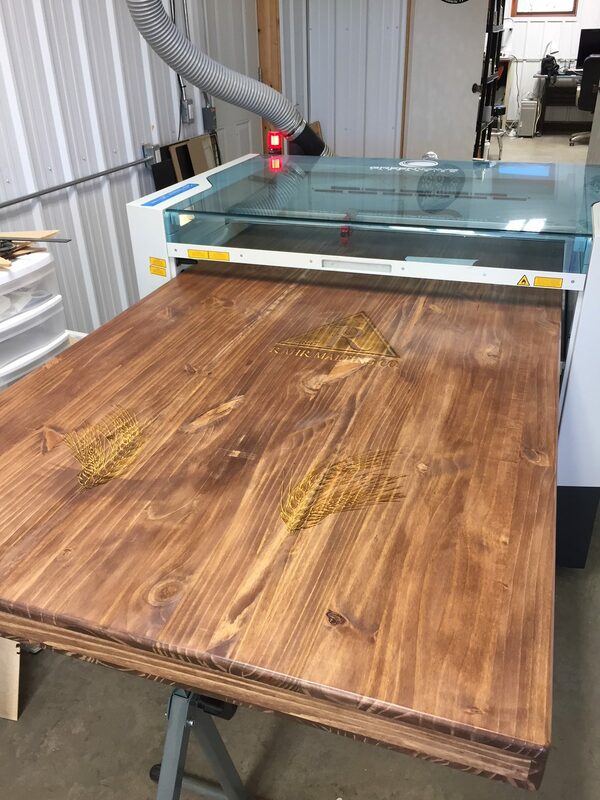 Our Speedy 400 has the ability to engrave and cut very long and large objects such as table tops, counters and doors. The front and rear doors drop down allowing the work piece to slide thru the laser work area. By carefully indexing the work, the repositioning can be managed and completed successfully.